1. 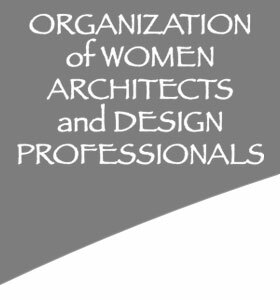 The name of this corporation is Organization of Women Architects/Design Professionals. 2. This corporation is a nonprofit public benefit corporation and is not organized for the private gain of any person. It is organized under the Nonprofit Public Benefit Corporation Law for public and charitable purposes. This corporation elects to be governed by all of the provisions of the Nonprofit Corporation Law of 1980 not otherwise applicable to it under Part 5 of Division 2. (iv) to carry on other charitable and educational activities associated with this goal as allowed by applicable law. 4. This corporation is organized exclusively for charitable or educational purposes within the meaning of Internal Revenue Code §501(c)(3) or the corresponding provision of any future United States internal revenue law or regulation ("Federal Tax Law"). Despite any other provision in these articles, this corporation shall not, except to an insubstantial degree, engage in any activities or exercise any powers that do not further the purposes of this corporation, and this corporation shall not carry on any other activities not permitted to be carried on by (i) a corporation exempt from federal income tax under Internal Revenue Code §501(c)(3) or the corresponding provision of any future Federal Tax law, or (ii) a corporation, contributions to which are deductible under Internal Revenue Code §170(c)(2) or the corresponding provision of any future Federal Tax Law. 5. No substantial part of the activities of this corporation shall consist of carrying on propaganda or otherwise attempting to influence legislation (except as otherwise permitted by Internal Revenue Code §501(h)(9)), and this corporation shall not participate or intervene in any political campaign on behalf of any candidate for public office (including publishing or distributing statements) . 6. All corporate property is irrevocably dedicated to the purposes set forth in Article II. No part of the net earnings of this corporation shall inure to the benefit of any of its directors, trustees, officers, private shareholders or members, or to individuals. 7. On the winding up and dissolution of this corporation, after paying or adequately providing for the debts, obligations, and liabilities of this corporation, the remaining assets of this corporation shall be distributed to an organization (or organizations) organized and operated exclusively for charitable or educational purposes, if that organization has established its tax-exempt status under Internal Revenue Code §501(c)(3) (or corresponding provisions of any future Federal Tax Law) and has established its tax-exempt status under Revenue and Taxation Code §23701d (or the corresponding section of any future California revenue and tax law) and satisfies the requirements of Revenue and Taxation Code §214. (v) will not make any taxable expenditures as defined in Internal Revenue Code §4945(d) or in corresponding provisions of any future Federal Tax Law.